One of the great joys of travel is discovering secret places you never knew existed. Often it is a new country you are seeing for the first time, other times it is a place you have visited many times without properly exploring it. This happening to me recently on a cruise aboard P&O Pacific Jewel to Vanuatu. 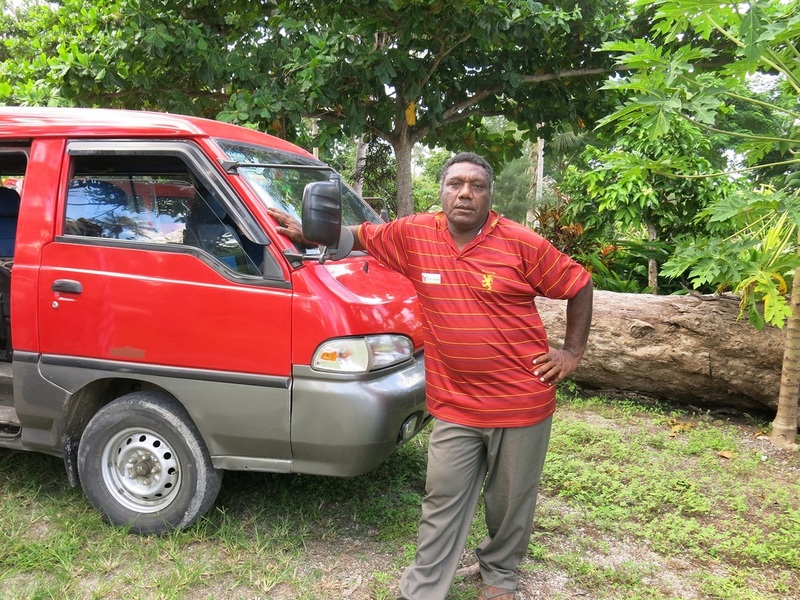 I have been to Port Vila on Efate more than 30 times over the years and I thought I had seen it all. I had been to the Cascades, Havana Harbour, Erakor Lagoon and Ekasup Village on several occasions. With a day to spend and no idea what to do, I casually chatted to a driver name Johnno who operated a taxi from the ship to the city centre. Now, Johnno turned out to be from the volcanic and remote island of Tanna, one of my favourite places in the Pacific. As we drove to town, we got to talking about places to see and I decided to impress him with all the places I had been on the island. “Have you been to Blue Lagoon?” he asked as we bounced along weaving in out of the traffic. “No, I thought was on Santo?” I replied. Now, I’m always up for any adventure so I negotiated a price with him and off we went. Blue Lagoon and Turtle Cove have never been mentioned of any ship Shore Tour itinerary I have seen, so they only way to get there was to make private arrangements. It took almost an hour to get along sealed roads. Blue Lagoon is set on the south east side of the island and you come upon it suddenly in amongst farmland. Entry into the Blue Lagoon was $12 AUS, but what a place! It is a large turquoise blue lake surrounded by stunning trees and hills. 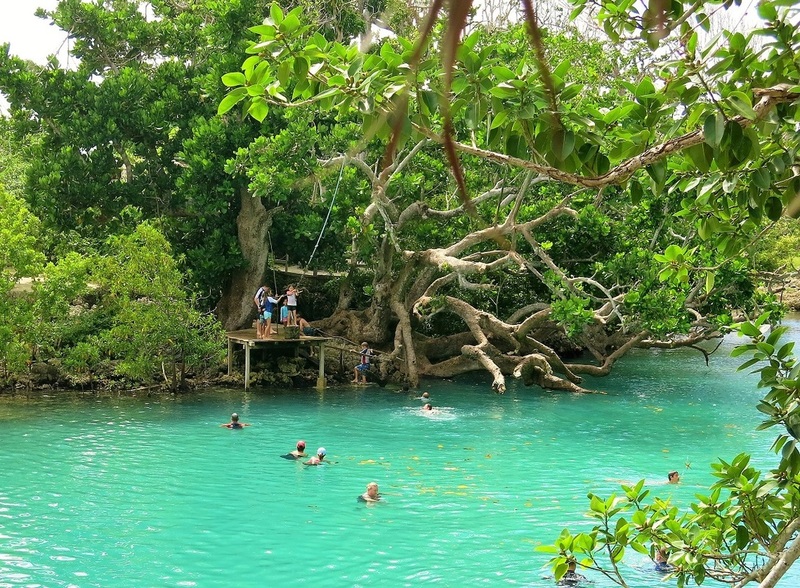 Huge ropes allow you to swing out over the lagoon and plunge into the water from secluded branches. Or, you can simply glide along enjoying the crisp cooling water. It is the kind of place you have to see for yourself to fully appreciate. Kids love this place and quite a number of families had found there way to Blue Lagoon from the ship. Cool drinks, snacks and beers were available at the kiosk as well as picnic tables set in tropical gardens. Next stop was Turtle Cove. Now there are two turtle attractions in the vicinity; I chose the one run by the local village as a community project. It is an amazing place. I have never seen a cleaner river anywhere than the one at Turtle Cove. It has a sand and coral riverbed which keeps the water crystal clear with a blue tinge. 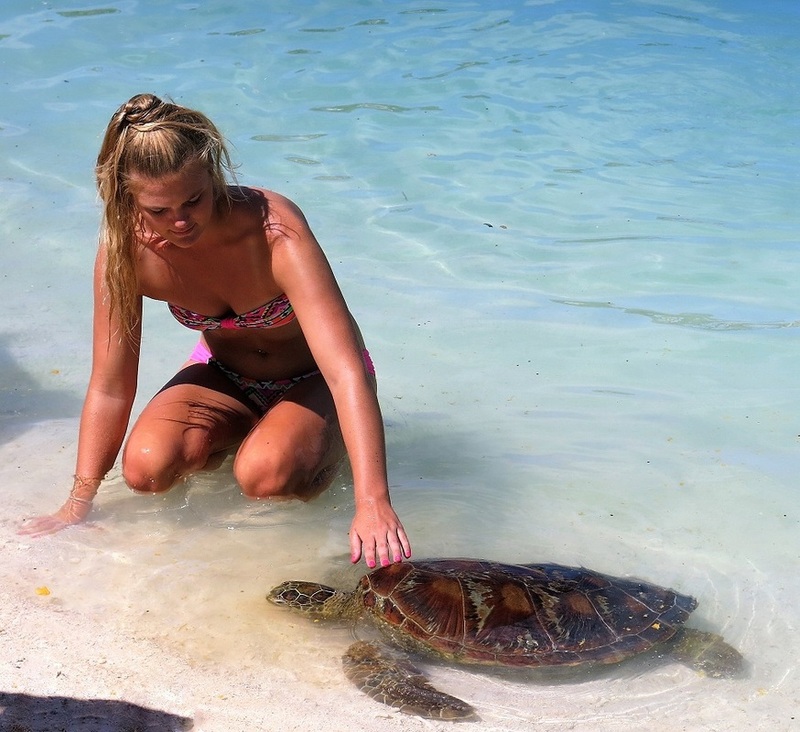 The turtles here are very friendly and are pets of the village. You can swim with them, ride on them and spend time feeding them. It is amazing to think Australia was still a colony when two of the turtles were born. “Ben” is 160 years old and “Big Momma” 140 years old. Turtle Cove village operates an outdoor restaurant beside the inlet and we had barbecued Scotch Fillet with vegies, salad and rice for $2AUS. Drinks and beers were also available. We had a party of five in our van and Johnno charged $30 each for the day. Adding in the entry fees and lunch, it cost just $62 each for the full day out including lunch, a bargain in anyone’s language. 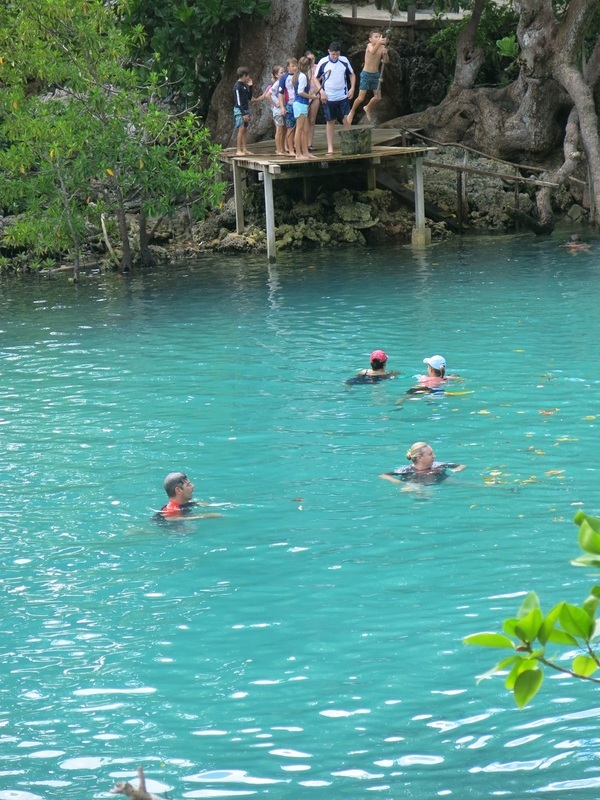 So, next time you go to Port Vila and you are looking for a new way of spending the day, consider this idea. One tip, however, is to let the ship know where you are going and try and get a phone number as a contact. You may have to go back on board to do this before setting off on your trip. Vanuatu tourism sets up an info kiosk near the ship so you could ask them to recommend a suitable operator.